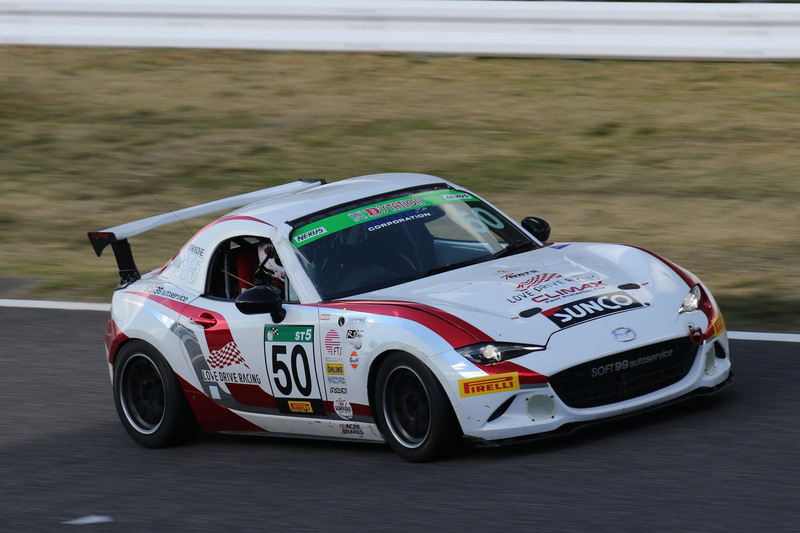 Over March 23 (Sat) to 24 (Sun) the opening round of the Super Taikyu series, the 5 Hours of Suzuka was held at Suzuka Circuit. In the ST-5 class, the NOPRO Demio SKY-D (# 37 Ijiri Kaoru / Seki Yutaka / Tsuji Kazundo) took class victory, while in the ST-2 class the NOPRO Axela SKY-D (# 17 Tatsuya Tanigawa / Tatsuya Nogami / Yuhi Otani / Toshihiko Nogami) came 3rd. With this Team NOPRO won a double podium. 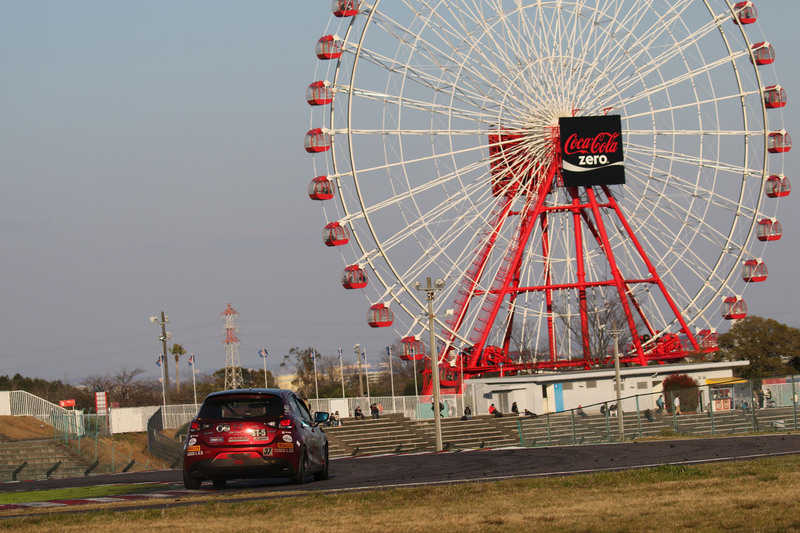 A total of 53 S-Tai machines gathered at the Suzuka Circuit on Friday for the chilly weekend. 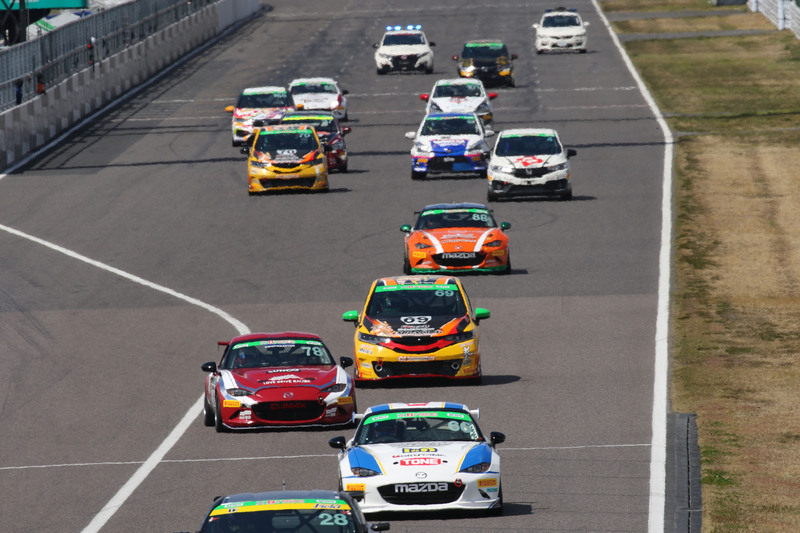 This year’s entry list includes import FIA GT3, GT4 and TCR-class machines, as well as multiple foreign drivers such as Harrison Newey, Darren Turner, and drivers from around Asia. It definitely appears that the series has been transformed into a more diverse series. 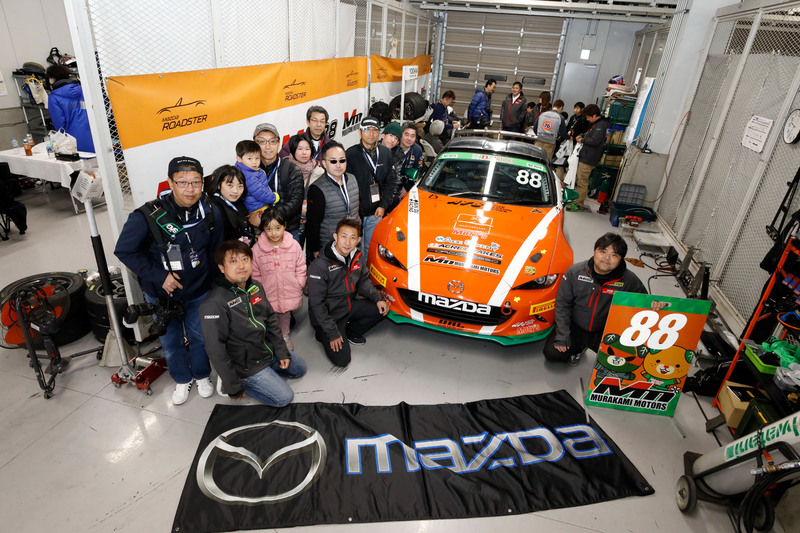 Mazda has two cars from Team NOPRO, another in the form of the 2017 ST-5 class champion, the #88 Murakami Motors Roadster (Hiroyuki Murakami / Naoki Yamatani / Yasunori Nakajima / Taro Kiritani). 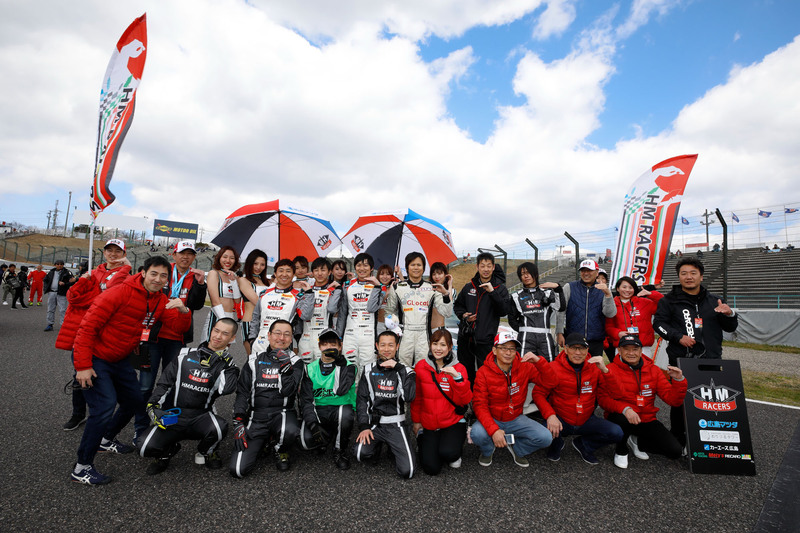 These were joined by regular Roadster competitors, including two from LOVE DRIVE RACING (# 50 Marie Iwaoka / Hiroko Komatsu / Sayaka Kato / Rika Nakamura, #78 Ryohei Tanaka / Satoshi Osaki / Junko Fujii). 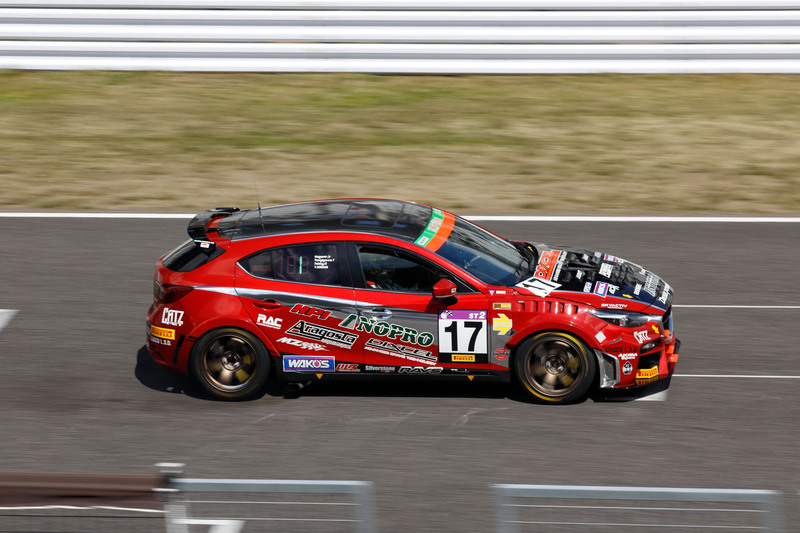 Furthermore, OVER DRIVE, which has been running with a Demio until last year, switched to a #66 roadster (Riku Hashimoto / Katsuhiko Tsutsui / Takayuki Takechi) from this year, and the #101 Demio 15MB (Hiroshi Yoshida / Kota Sasaki / KENBOW) of HM Racers is a new entry. 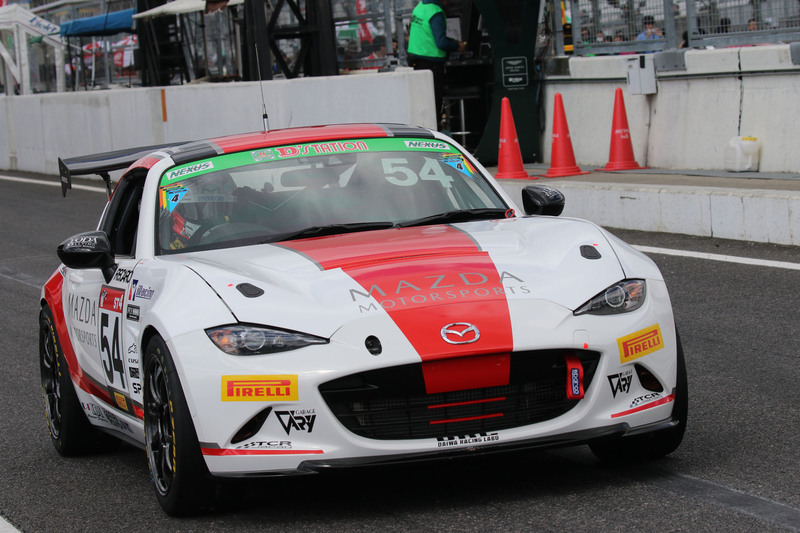 The TC CORSE’s #54 Roadster RF (Shoya Kato / Kenichi Ohara / Takuya Hiraki) has entered the ST-4 class. Due to the regulation changes, each ST-5 Roadster car was obliged to increase its weight by 20kg, and it was thought that they might struggle in qualifying. However, after qualifying for the A/B drivers was completed, the new #66 Odula Roadster had taken pole position with the top time in the ST-5. 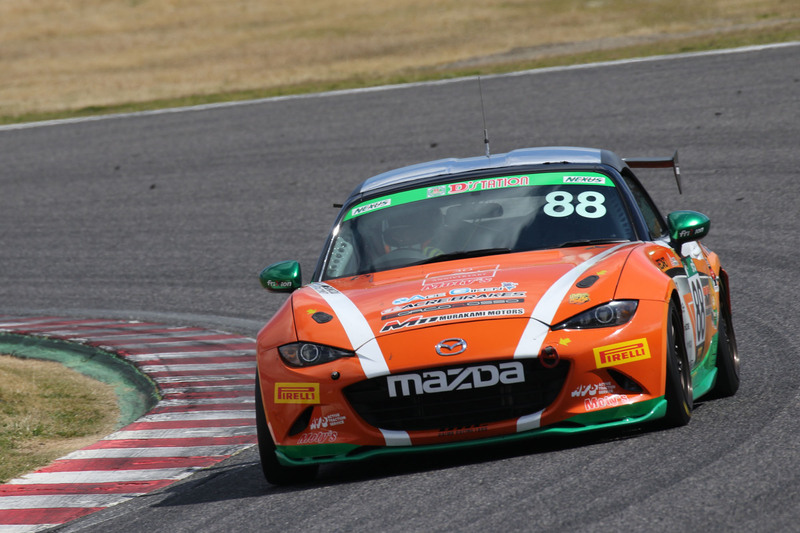 The #78 LOVE DRIVE Roadster secured second place on the grid, and the #88 Murakami Roadster took 4th. The #37 NOPRO Demio came would start from 7th, the #101 Hiromatsu Demio from 9th, and the #50 LOVE DRIVE Roadster from 10th. In the final race, the formation lap started at 12:30 on the 24th, and when the green light was lit at 12:35 minutes. With all eyes on the ST-5 class the #66 roadster led for the first few laps, but occasionally relinquished to the lighter fits. Later, the two Fits, the #78 LOVE DRIVE roadster, and the #37 NOPRO Demio formed the top group, while the #88 Murakami Roadster and #66 Odula Roadster followed behind. However, the #66 Roadster then went off the course, bunkering in and losing time. The #78 Roadster, which had been struggling, was given a penalty stop and was dropped down the order due to a pit work violation. The fuel-efficient #37 NOPRO Demio topped the midfield, and the #88 Murakami Roadster was also positioned to aim for the podium. However, it was pushed off course by an ST-X machine at spoon curve, crashed and forced to retire. 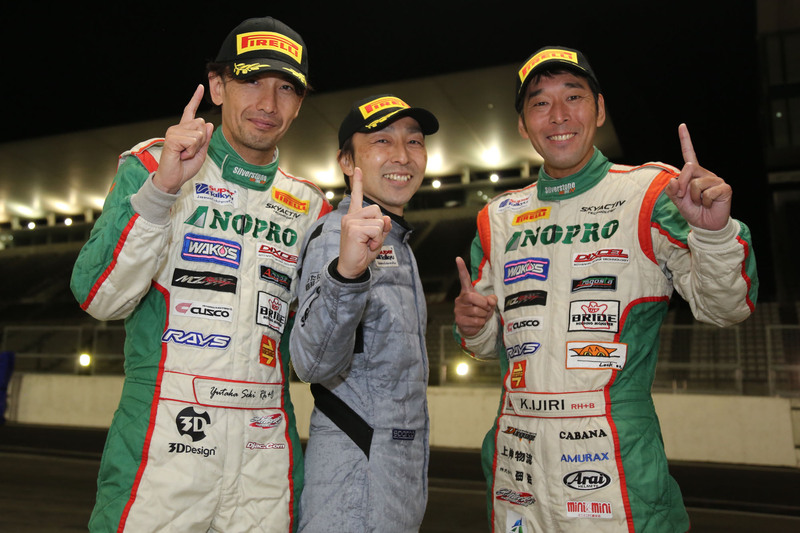 As a result, #37 NOPRO Demio took its first Suzuka victory in three years. The 66 Odula Roadster finished 4th, and the #101 Hiromatsu Demio ended in 6th. The #78 LOVE DRIVE Roadster stopped on the track having run out of gas at the end of the race. The #50 LOVE DRIVE roadster was unable to finish due to drivetrain problems and retired. The ST-2 class’s #17 NOPRO Axela SKY-D persevered throughout the tough race and finished in class 3rd. The TC CORSE, which entered its Roadster RF into the ST-4 class, continued to suffer from engine control problems and started from pit road. Seemingly unable to resolve its engine problems, it was forced to retire. 07/24 Unstoppable! Mad Mike Grabs Second Consecutive Victory! 08/10 ND Roadster Takes Second All Japan Gymkhana Championship Victory! 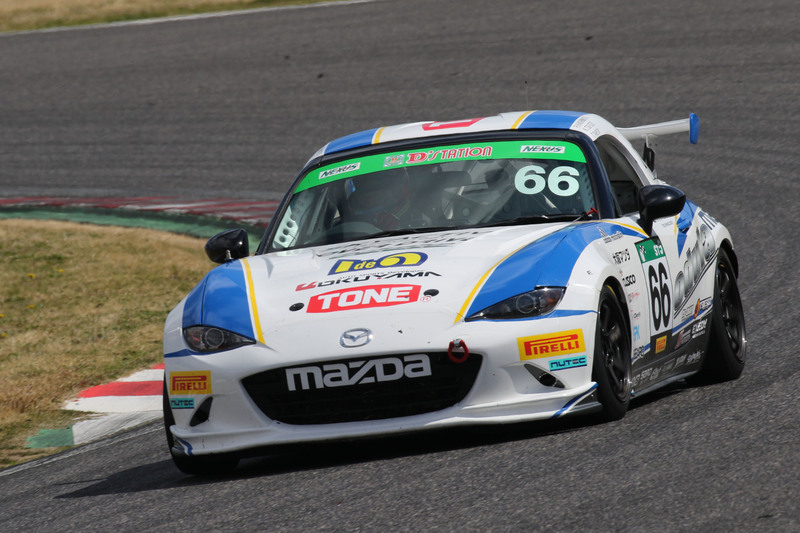 04/12 RD Roadster Makes Fuji Champion Race Debut! 10/22 Demio Monopolizes Podium at JRC Round 8 Highland Masters! 09/25 Okada Demio Takes JN3 Class Victory at JRC Rd. 7 to Secure the Title! 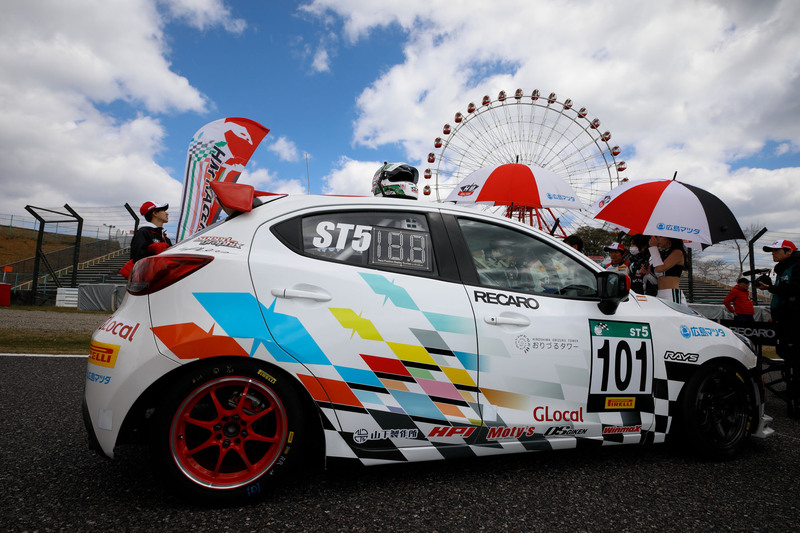 08/07 NOPRO Demio SKY-D Grabs 4th and TCR Roadster Takes 5th in Scorching S-Tai Kyushu. 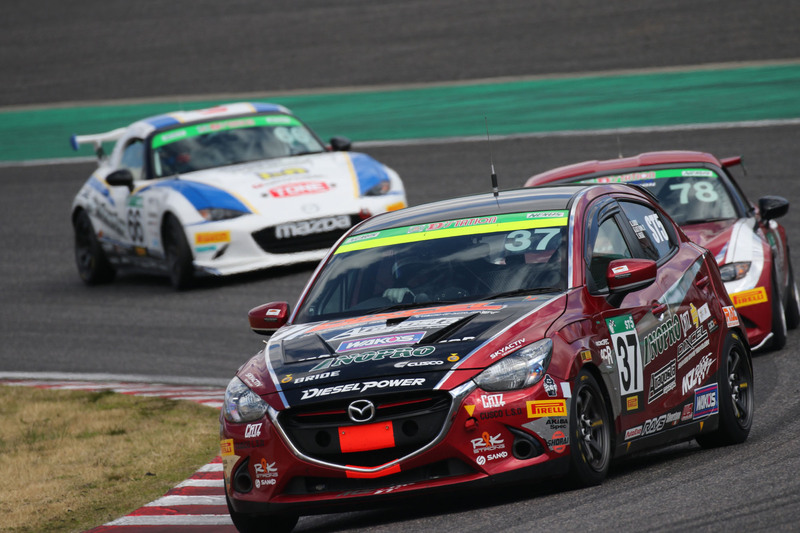 04/25 Demio SKYACTIV-D makes its Fuji Champion Race Debut. 07/10 Uda’s JN1 Demio takes second win of the season. Okada’s JN3 Demio grabs 3rd.